BREAKING NEWS – ISLAMOPHOBIA WORKS! Tune in to see how Tom Trento develops the rationale behind a new and improved concept – ISLAMOPHOBIA WORKS! WASHINGTON — In a major shift of focus in the battle against the Islamic State, the Obama administration is planning to establish a new military base in Anbar Province, Iraq, and to send up to 450 more American military trainers to help Iraqi forces retake the city of Ramadi. The White House on Wednesday is expected to announce a plan that follows months of behind-the-scenes debate about how prominently plans to retake Mosul, another Iraqi city that fell to the Islamic State last year, should figure in the early phase of the military campaign against the group. The fall of Ramadi last month effectively settled the administration debate, at least for the time being. American officials said Ramadi was now expected to become the focus of a lengthy campaign to regain Mosul at a later stage, possibly not until 2016. Islamic State fighters seized important locations around Surt. The United States Central Command’s emphasis on retaking Mosul depended critically on efforts to retrain the Iraqi Army, which appear to have gotten off to a slow start. Some Iraqi officials also thought the schedule for taking Mosul was unrealistic, and some bridled when an official from the Central Command told reporters in February that an assault to capture the city was planned for this spring. Now, pending approval by the White House, plans are being made to use Al Taqqadum, an Iraqi base near the town of Habbaniya, as another training hub for the American-led coalition. The United States now has about 3,000 troops, including trainers and advisers, in Iraq. But the steps envisioned by the White House are likely to be called half-measures by critics because they do not call for an expansion of the role of American troops, such as the use of spotters to call in airstrikes. There has long been debate within the administration about what the first steps in the campaign should be. 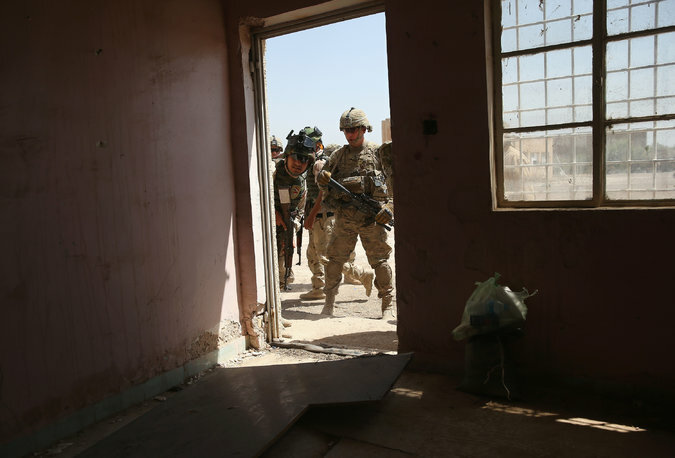 Led by Gen. Lloyd J. Austin III, the Central Command has long emphasized the need to strike a blow against the Islamic State by recapturing Mosul, Iraq’s second-largest city, which was taken by the group in June 2014. Mosul is the capital of Nineveh Province in northern Iraq and was the site of a sermon that Abu Bakr al-Baghdadi, the leader of the Islamic State, defiantly delivered in July. The Baiji refinery, a major oil complex, is on a main road to Mosul. While General Austin was looking north, State Department officials have highlighted the strategic importance of Anbar Province in western Iraq. Anbar is home to many of Iraq’s Sunni tribes, whose support American officials hope to enlist in the struggle against the Islamic State. Ramadi, the provincial capital of Anbar, is less than 70 miles from Baghdad, and the province borders Saudi Arabia and Jordan, two important members of the coalition against the Islamic State. The differing perspectives within the administration came to the fore in April when Gen. Martin E. Dempsey, the chairman of the Joint Chiefs of Staff, asserted that Ramadi was not central to the future of Iraq. The Islamic State’s capture of Ramadi last month also punctured the administration’s description that the group was on the defensive. 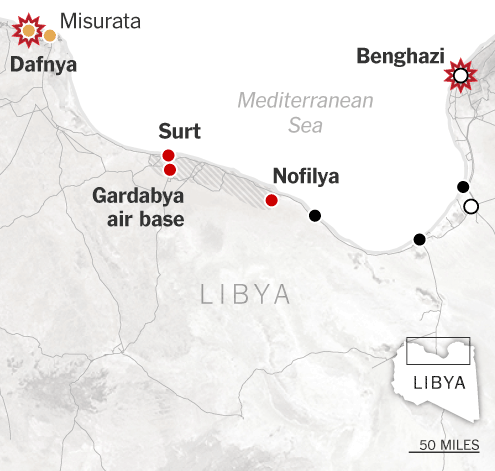 Suddenly, it appeared that the Islamic State, not the American-led coalition, was on the march. Prime Minister Haider al-Abadi of Iraq scrambled to assemble a plan to regain the city. The Islamic State now controls two provincial capitals, as well as the city of Falluja. With the help of American air power, the Iraqis have retaken Tikrit, northwest of Baghdad, but so many buildings there are still rigged with explosives that many of its residents have been unable to return. To assemble a force to retake Ramadi, the number of Iraqi tribal fighters in Anbar who are trained and equipped is expected to increase to as many as 10,000 from about 5,500. More than 3,000 new Iraqi soldiers are to be recruited to fill the ranks of the Seventh Iraqi Army division in Anbar and the Eighth Iraqi Army division, which is in Habbaniyah, where the Iraqi military operations center for the province is also based. But to the frustration of critics like Senator John McCain, Republican of Arizona, who say that the United States is losing the initiative to the Islamic State, the Obama administration has yet to approve the use of American spotters on the battlefield to call in airstrikes in and around Ramadi. Nor has it approved the use of Apache helicopter gunships to help Iraqi troops retake the city. General Dempsey alluded to the plan to expand the military footprint in Iraq during a visit to Israel on Tuesday, saying that he had asked war commanders to look into expanding the number of training sites for Iraqi forces. The United States is not the only country that is expanding its effort. Britain’s prime minister, David Cameron, said this week that his country would send up to 125 additional troops to train Iraqi forces, including in how to clear improvised bombs. Italy is also expected to play an important role in training the Iraqi police. Helene Cooper contributed reporting from Jerusalem.